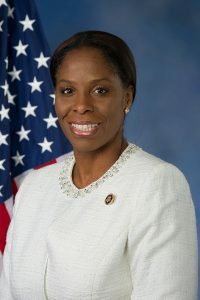 Congresswoman Stacey Plaskett of the Virgin Islands is looking for someone to manage communications from her congressional office. Plaskett is a self-described moderate member of the Democratic Party. She serves as a delegate representing the entirety of the Virgin Islands, a position that does not get to vote but is permitted to argue on the floor of Congress. Applicants will help the congresswoman manage her national presence and push the Virgin Islands’ agenda. Responsibilities will include managing media relations and writing press releases, reports, talking points, op-eds, speeches, and other materials. The Communications Director will also handle social media accounts and other forms of online communication. Candidates are expected to have established media contacts, excellent writing skills, and experience leading and working well with a team. An understanding of minority and Caribbean constituencies is a plus. To apply, email a cover letter, resume, two writing samples, and a minimum of three references to openhilljob@gmail.com with Communications Director in the subject line.